Comp Cams Hi-Tech 210° Radius Pushrods work well with rocker arms that have cup-type adjusters and applications that demand pushrods with more load bearing surface. They share the same traits as other Hi-Tech Pushrods yet feature a 210° radius rather than the standard 180°. Their 1-piece design from seamless chrome moly tubing ensures exceptional durability. 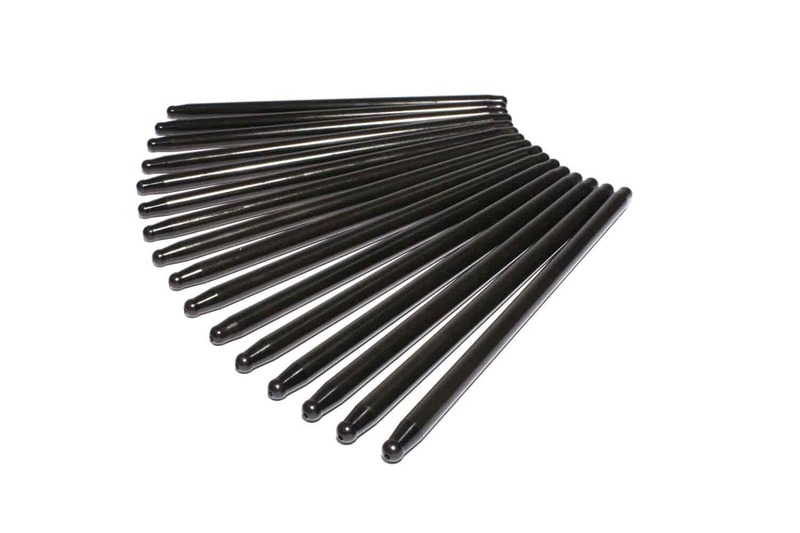 Pushrods are heat treated for maximum strength, OD ground for consistency, and finished with black oxide. Part number and length are laser etched onto each rod for fast, easy identification. Custom lengths available by special order.